Is there anything more divine than biting into the juicy, sun-warmed flesh of a mango? 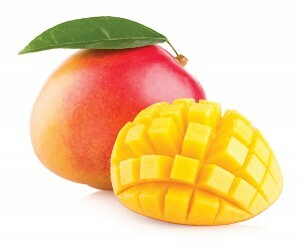 Known as the ‘king of fruits’, the noble mango is one of nature’s true delights and packs a serious punch of healthy. Chockfull of vitamins and antioxidants, the native South Asian stone fruit has over 400 known cultivars, is grown the world over and is considered a must-have item in most tropical kitchens. Delicious fresh, dried, salted, stewed, seasoned or as an addition to pickles, chutneys, salads, smoothies and more, it is with good reason the versatile mango is the world’s most popular fruit.